New Delhi: Homegrown drug major Lupin and Gavis Pharmaceuticals LLC, which the Indian firm announced to acquire in a USD 850 million deal last year, have agreed to divest two generic drugs as part of the US Federal Trace Commission (FTC) requirement to complete the transaction. The companies have agreed to sell rights and assets for two generic drugs to New Jersey-based G&W Laboratories in order to settle charges that Indian firm’s proposed acquisition would likely be anti-competitive. One of the drugs, doxycycline monohydrate capsules, is used to treat bacterial infections and the other, generic mesalamine extended release capsules is prescribed for treating ulcerative colitis. “… proposed respondents are willing to enter into this agreement containing consent orders to divest certain assets,” an agreement put forth by the two companies before the FTC said. FTC had asked the companies to divest the products as the merger (Lupin and Gavis) would have combined two of only four companies that currently market generic doxycycline monohydrate capsules in two dosage strengths likely resulting in higher prices. The US competition watchdog had noted that the merger would have also eliminated one of only a few companies likely to enter the market for generic mesalamine extended release capsules in the near future, thereby delaying beneficial competition and the prospect of price decreases. Under the terms of the proposed order, Lupin was required to transfer to G&W Laboratories all of Gavis’s rights and assets related to generic doxycycline monohydrate capsules no later than ten days after the acquisition is consummated, so that G&W can begin selling the product immediately. The transfer includes Gavis’s manufacturing technology, which Lupin will help G&W set up at the latter’s facilities. 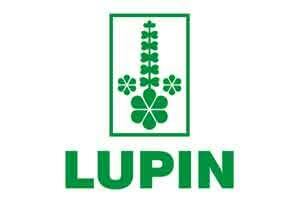 In the interim, Lupin will supply G&W with the finished product for two years. “The proposed consent order preserves competition by requiring the companies to divest these products to the New Jersey-based generic pharmaceutical company G&W Laboratories,” FTC had said. In July last year, the company had entered into a definitive agreement to acquire privately held GAVIS Pharmaceuticals LLC and Novel Laboratories Inc (GAVIS), subject to certain closing conditions, in a transaction valued at USD 880 million. The buyout, the largest by an Indian pharma firm in the US, gives the Mumbai-based firm access to 66 generic drugs as well as broaden its pipeline in dermatology, controlled substance products and other high- value and niche generics. The new entity would have a portfolio of over 110 in-market products, over 175 cumulative filings pending approval and a deep pipeline of products under development for the US. The acquisition creates the fifth largest portfolio of abbreviated new drug application (ANDA) filings with the USFDA, addressing a USD 63.8 billion market.